Be a part of something big on November 20th! 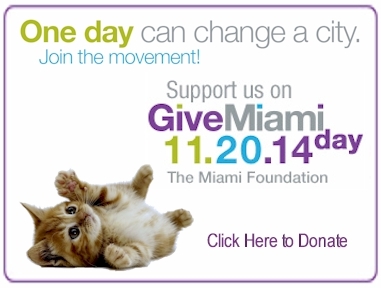 Support The Cat Network on GiveMiami Day. Donations will be maximized by a percentage match! 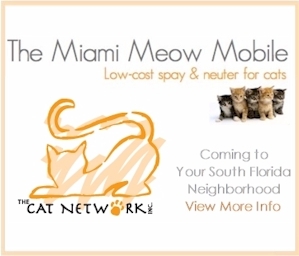 Access to low cost spay neuter services to the public, for feral and stray cats by bringing our Meow Mobile directly to targeted areas and by our network of participating veterinarians in our spay/neuter program . The Cat Network has facilitated almost 90,000 spay/neuter surgeries in 19 years. In order to keep these program running, we are asking for your support on Give Miami Day. This year we would like to upgrade our Meow Mobile by purchasing a new awning and getting the vehicle wrapped. We would also like to offer several free Spay/Neuter days.